What better way to commemorate 400 years since the death of William Shakespeare than a dash of live theatre, a taste of the text re-imagined and a conversation between Susan Coyne and Margaret Atwood on re-writing the bard? This event will feature a professional reading of an excerpt from William Shakespeare's The Tempest read by award-winning playwright and performer Keith Barker, and Walter Borden, a distinguished member of the Order of Canada . The participation of these Artists are arranged by permission of Canadian Actors’ Equity Association under the provisions of the Dance•Opera•Theatre Policy. Meet Prospero and Caliban, the first is the usurped Duke of Milan who uses magic to maintain order on the small island of his exile, the second the original inhabitant forced into servitude. 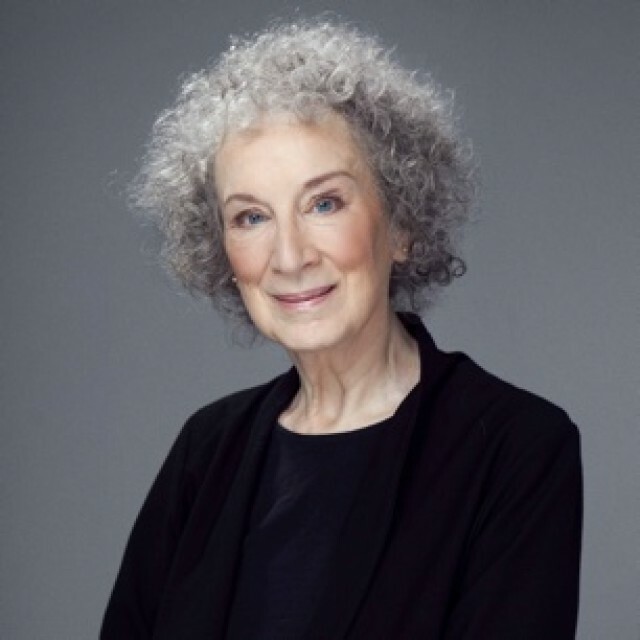 In her new book, Hag-Seed, bestselling and multiple award-winning author Margaret Atwood retells The Tempest, one of Shakespeare’s most stirring and unforgettable plays. This event is organized in collaboration with the Canada Council for the Arts to mark the 80th Anniversary of the Governor General’s Literary Awards. Atwood’s canny remix offers multiple pleasures: seeing the inmates’ takes on their characters, watching Felix make use of the limited resources the prison affords (legal and less so), and marveling at the ways she changes, updates, and parallels the play’s magic, grief, vengeance, and showmanship.